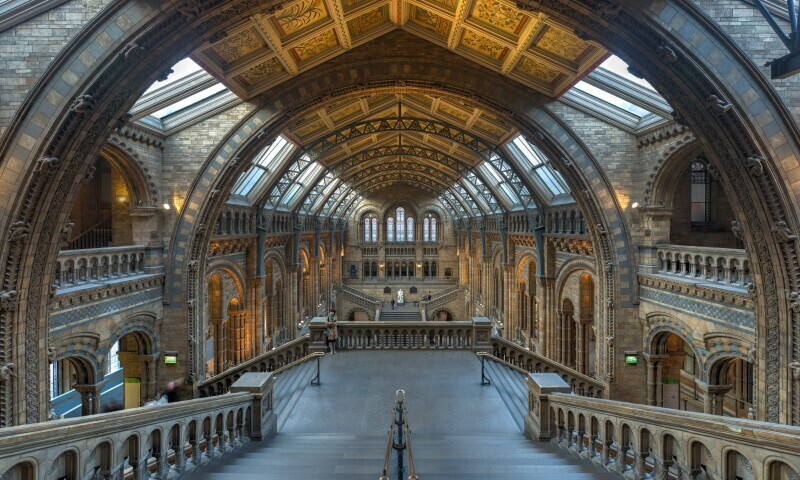 The Natural History Museum is a world leading scientific research centre and one of the UK’s most popular visitor attractions, with more than five million people enjoying its galleries, exhibitions, events and education programmes every year. The breadth and depth of the Museum Collection makes it the most important of its kind in the world: 80 million plants, animals, fossils, rocks and minerals spanning 4.6 billion years of history. The Museum has been using this Collection to build the scientific understanding of the natural world for more than 250 years. Behind-the-scenes more than 350 scientists and students are using the Collection for research into some of the biggest challenges facing our species, such as eliminating parasitic diseases that condemn millions to poverty, finding new sources of minerals and measuring the impact of climate change. Some of this work is in the spotlight in the Darwin Centre, the Museum’s life sciences complex, which combines public galleries with state-of-the-art Collection space and modern facilities for Museum scientists. Technology is opening up new ways of seeing and unlocking the Collection. The Museum is working to get 25 per cent of the 80 million specimens online within five years, making one of the world’s most important datasets about the planet accessible to the global science community. The Museum is in a partnership with production company Atlantic Productions to produce natural history virtual reality experiences for museums around the world. Through Google Arts & Culture, 200,000 items from the Museum Collection and galleries are freely available online.